A one-time, non-refundable deposit (25%-50%) is required for new client appointments to confirm and hold your appointment. The deposit will be applied to your balance due at the end of your appointment. Appointments without a deposit will be canceled. To complete your deposit, you will be emailed an invoice that must be completed within 12 hours of your appointment, to hold it. All appointments require a credit card for reservation. It is not charged, it is only for the purpose of maintaining the no-show/last minute cancellation policy. In the event you do not show for your appointment, reschedule or cancel outside of the alotted time frame, you will be charged. All new and existing clients are invited to self-schedule appointments, however, please be aware that your appointment could be moved up or down 10 to 30 minutes to avoid scheduling conflicts. If any change to your appointment is made, you will be notified via email or phone. If you move your appointment, there is a chance your rescheduled appointment may be adjusted to accommodate the existing schedule and/or to avoid overlap. Please understand that when you move your appointment, accommodations must be made around existing appointments. If your rescheduled appointment conflicts with the schedule, your appointment may be moved. Rescheduling: please reschedule no later than 12 hours prior to your appointment, otherwise you may be held responsible for 100% of the service. However, making and rescheduling a same day appointment is permitted, without charge. Cancellation: If you cancel your appointment less than 12 hours of your scheduled time, you will be held responsible for 100% of scheduled services. No Call-No Show: not only is it rude but inconvenient and inconsiderate, therefore, you will definitely be held responsible for 100% of scheduled services. ​It is understood that "life happens", however, Kristen asks for courteousness when scheduling. Your scheduled appointment is booked for you and you only. 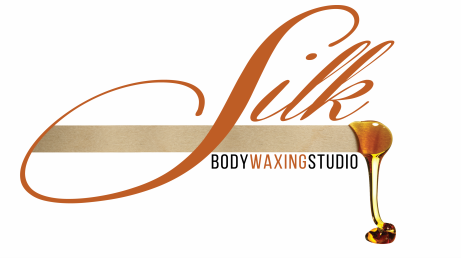 Silk Body Waxing Studio asks that you please only book appointments you can commit to, otherwise, you will be held responsible for the associated charges. Please note: If, for any reason, you are unable to make your appointment through no fault of Kristen or Silk Body Waxing Studio, consideration will not be given. You will be charged the full amount of your scheduled service(s). If you are unsure of your ability to show, day-of scheduling may be a better option instead of future booking. In the event you are running late, please call to notify. *Kristen is VERY protective of her book, clients and her time; wasting her appointments is not an option. In turn, she asks for your commitment to your appointment. If you need to change any services, (lesser in cost and/or time) please do so upon receiving your confirmation, NOT until you arrive, to downgrade services, you will be expected to comply with the already scheduled service sum, unless substituting a service in equal amount of time and price. If you would like to add service(s) to your appointment post-confirmation, it may or may not be possible due to time restraints. Feel free to ask, though. "Instead of _____________, can I get _____________ done instead?" Certainly, as long as it's a service of equal value and time. Please only book for yourself and yourself only. All appointments require a card for reservation, client's first and last name, service(s) booked and phone number. If you do decide to book an appointment for someone other than yourself, please understand that if anything goes awry with the appointment(s), the balance will fall on you. Appointments can be made days in advance or same-day, at any time. Appointments can be made conveniently online via website, email or calling 215-687-6698. For walk-in availability, please call. Please take your menstrual cycle into consideration before booking a Brazilian wax appointment. Kristen will not render BRAZILIAN services to clients who are on their cycle. Please consider your cycle and schedule your appointment accordingly. Please do not arrive before your exact appointment time and no later than 15 minutes after your scheduled appointment. (You will not be buzzed in before). The studio is very small (300sq ft.) and it is not a salon. Silk prides itself on client comfort and high-quality service, which includes on-time appointments and providing efficient, one-on-one service. As timing is everything, arriving too early or too late for your appointment may infringe upon other clients' appointments. If you will be running late, please call ahead of time to let Kristen know, if not, you may lose your appointment, be left, and/or be assessed a fee. Arriving too late could result in a canceled appointment. In case you arrive to your appointment and your hair is too short to be waxed, you will be charged fully for the service. Too frequently, clients arrive after having recently shaven or with hair that is too short to be completely removed. The appropriate length is roughly 1/4 inch = a grain of rice. Twofor services are ineligible for discounts, as they are already discounted. If you do not see any discounts listed, other than what's posted, it is not available. Kristen isn't as rigid as her rules, promise. She just likes to run a tight ship!